I'm Here. I'm Queer. What the Hell do I read? 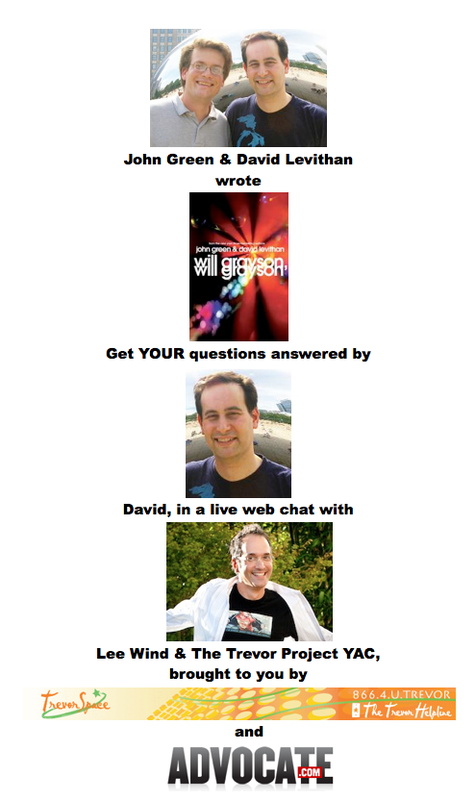 : The TrevorSpace Book Club's LIVE WEBCHAT with David Levithan Answering YOUR Questions Is Today! The TrevorSpace Book Club's LIVE WEBCHAT with David Levithan Answering YOUR Questions Is Today! Co-Author of "Will Grayson, Will Grayson," David Levithan is going to answer your reader questions! So click in between 5pm and 6pm East Coast time (2pm to 3pm West Coast time) to have a shot at getting YOUR question answered! Once the live chat is over, you can watch the archived show by clicking above. 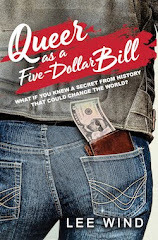 Get those questions ready, and enjoy! My thanks to the Trevor Project Youth Advisory Council members, everyone at The Trevor Project and Advocate.com for making this cool finale of "Will Grayson, Will Grayson" as a TrevorSpace book club selection a reality!